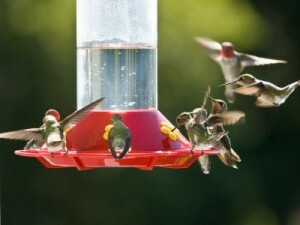 Looking to make your own hummingbird nectar? Here is a easy recipe. Never use honey or artificial sweeteners! Honey ferments easily, and can cause sores in a hummers mouth. Artificial sweeteners have no food value. This entry was posted on Saturday, March 10th, 2012 at 10:20 pm	and is filed under Articles, Bird. You can follow any responses to this entry through the RSS 2.0 feed. Both comments and pings are currently closed.